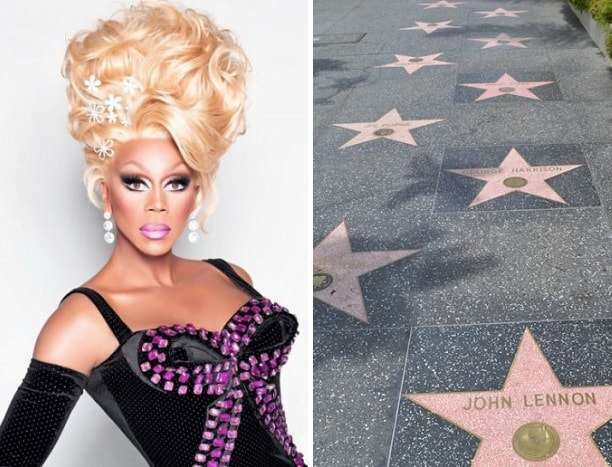 Drag superstar RuPaul is among the celebrities whose names will appear in stars on the Hollywood Walk of Fame on Hollywood Boulevard next year. “Sweet Cheeses! My heart is beating so fast right now!” RuPaul wrote on Twitter, adding in a separate tweet the honour was a “dream come true”. As well as Mama Ru, Glee and American Horror Story creator Ryan Murphy will also be immortalised on the Walk of Fame in 2018. Other celebrities to receive stars include Jennifer Lawrence, Mary J. Blige, Kirsten Dunst, Snoop Dogg, Minnie Mouse, Jack Black, Simon Cowell and original Wonder Woman Lynda Carter. Australia’s late Crocodile Hunter Steve Irwin will also be posthumously awarded a star, joining more than 2,600 others on the Walk of Fame which stretches along 18 blocks of street in Hollywood.